Exchange Server Data Recovery Services | Gillware Inc. Many of the clients sending us servers at Gillware use Microsoft Exchange for emails and are in need of our Exchange server data recovery services. Microsoft Exchange Server is a form of collaborative software, also known as groupware. Put simply, collaborative software is any kind of software that connects multiple users and allows them to work together. There are a few different types of mail server software out there. If you have an Outlook email address, you are using one of Microsoft’s email servers every time you log in and check your mail. If your work email address has a custom domain, your workplace’s email server provides that domain name. For example, a fictitious Gillware technician “John Doe” could be reached at “john.doe@gillware.com”. Microsoft Exchange is one such mail server system. Servers are such an important part of any business, large or small, that a server failure will often grind your business to a halt. 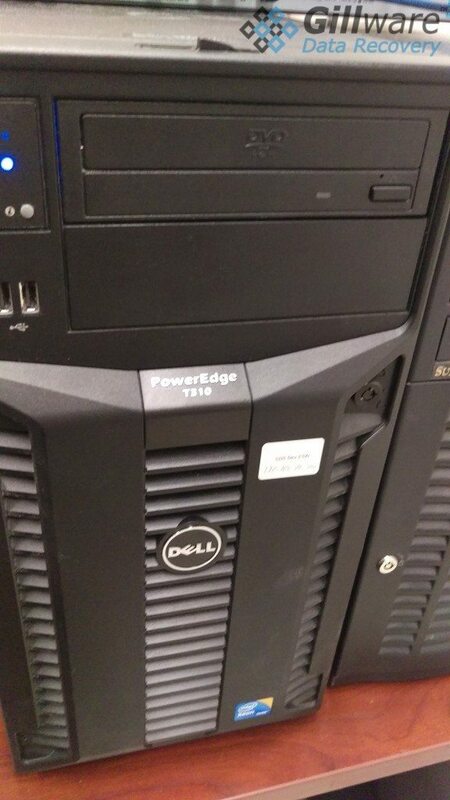 If you were using that Dell EqualLogic or HP ProLiant server you had as a mail server for your business, you could be in even bigger trouble. Email records your correspondences with your clients. It records interactions between your different departments. Email is everything. It is the paper trail of the paperless office. If that trail goes cold, you could be in deep trouble. You could be, to paraphrase, dead in the water, and stuck in a very foul-smelling river. But don’t panic, don’t despair, and don’t throw in the towel just yet. Your company’s email records aren’t gone for good, and your ship is far from sinking. No matter how much of an emergency your case is, our Exchange server data recovery experts here at Gillware Data Recovery can get your business up and running again. Gillware can recover your data if your Exchange server crashes. Exchange server down? Gillware can help. But with today’s high-capacity drives, rebuilding these fault-tolerant arrays can take a long time and put far too much stress on the other drives in the array. Ironically, it is easier for a RAID array to fail while it is rebuilding than at any other time! When we see RAID arrays brought in to Gillware, it’s common for them to have failed during a rebuild. It’s also common to see RAID arrays that were never rebuilt after one drive failed and just limped along in a degraded state until another drive failed. This can be because nobody noticed the first drive failure. Or because rebuilding the RAID just felt too risky for the guy in charge to go through with it. Whatever the reason for your server failure, you need help. With our Exchange server data recovery services, we can get your email database back and get your business on its feet again. When your hard drives come to us for Exchange server data recovery, the first place they go to is our cleanroom. Our top-notch hard drive repair engineers assess the drives and determine their points of failure. At this point, our engineers can tell how much work is going to go into getting your Exchange Server database back. We then send you a price quote and probability of success. Once we have your approval, our engineers repair the failed drives and make forensic disk images of them on healthy hard drives. The new drives then go to our RAID recovery technicians. Our technicians rebuild your array and test the data inside. Depending on how severe the failure was, there could be gaps in the array or file corruption. Our technicians have to make sure your critical Exchange Server database works. After all, there’s no sense in charging you for non-functional data. If data corruption has occurred, our engineers have to assess the severity and how much of it can be repaired. There is a chance that lost and corrupted data could be irretrievable. In these situations, we make sure you know how well the recovery process went. In the event of an imperfect recovery, ultimately, it is up to you to decide whether or not 90%, 80%, or even 50% of your Exchange email database is worth the cost of data recovery. Why Choose Gillware for Exchange Server Data Recovery? Our data recovery lab, located in beautiful Madison, Wisconsin, is one of the best in the world. The team of skilled data recovery experts in our facility and our cutting-edge data recovery tools are second to none. With our ISO 5 certified cleanroom and SOC 2 compliant security protocols, you can rest assured knowing your data is in good hands. Our data recovery services are affordable as well, with price quotes 40-50% lower than our competitors on average. At Gillware, you won’t find any upfront costs or evaluation fees. We even take care of inbound shipping on our dime, not yours. We don’t have any “Aw shucks, we tried, but we just couldn’t get your data” fees, either. Our pricing system is simple. You pay us after we recover your data. Not before we receive your case. Not after we finish the evaluation and show you our price quote. Certainly not if we weren’t able to recover your data. At Gillware, our Exchange server data recovery services are totally financially risk free.